National Archives #80-G-284708. Cropped by author. 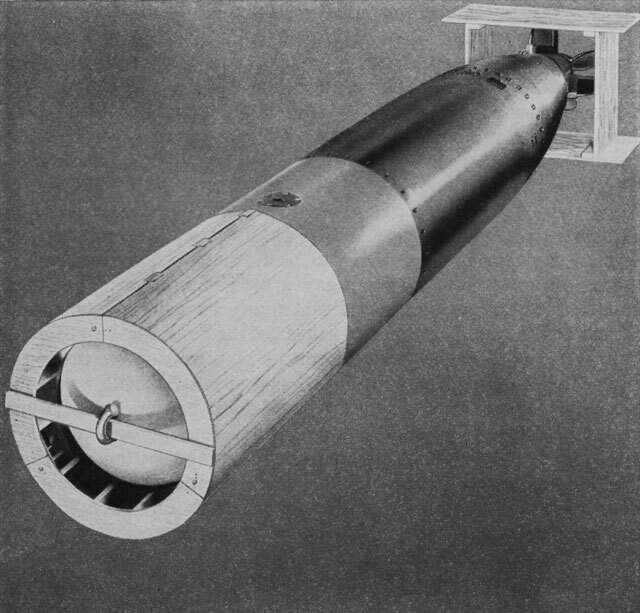 The Mark 13 was the standard aircraft torpedo throughout the war. It was developed in 1936 and entered service two years later. Compared with the aircraft torpedoes of other powers, such as the Japanese Type 91, the Mark 13 was short, fat, slow, and long-ranged. It was also initially highly unreliable, requiring a drop at 50 feet (15m) at 110 knots and still often malfunctioning. It had poor depth control and a tendency to deviate to the left. Its one bright spot was that the contact detonator was reasonably reliable at the relatively slow speed (33 knots) of the Mark 13. 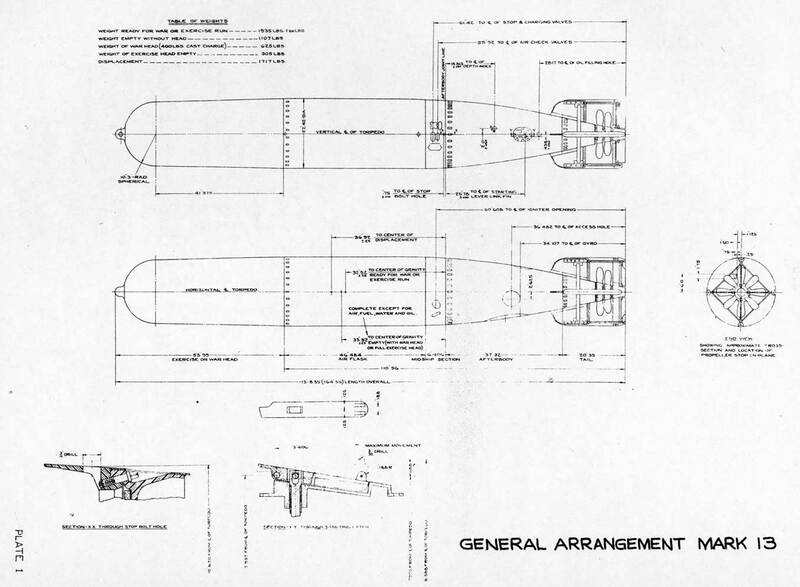 Modifications to the air tails and the addition of plywood nose drag rings allowed high speed drops from 1000 feet (300m) by February 1944 and from 2400 feet (730m) and 410 knots by the end of the war. 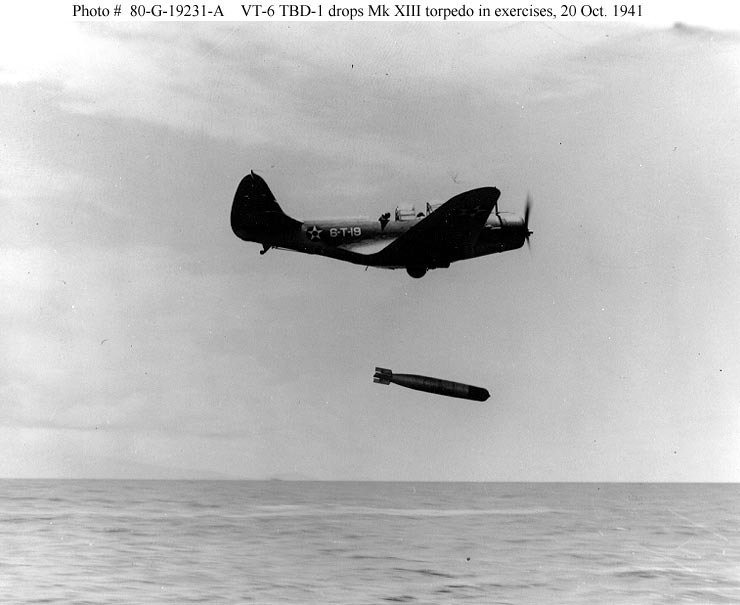 Pilots were trained that the optimum drop was from 800' (240m) at 260 knots from a distance of 1400 yards (1300m). This yielded a water entry angle of about 28 degrees after a fall of 7 seconds over a horizontal distance of 1000 yards (900 m), plus an additional water run of 400 yards (370m). 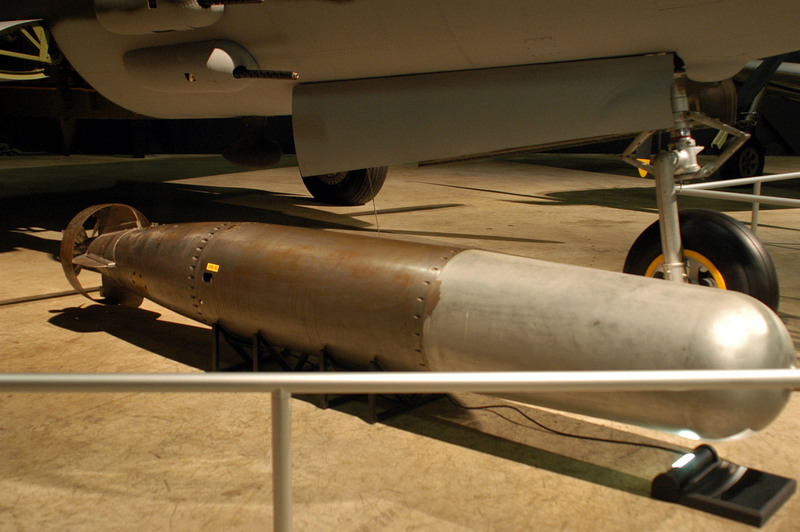 The nose drag ring or "pickle barrel" slowed the fall of the torpedo by 40% and absorbed much of the shock of water entry, while both the nose drag wing and the air tail prevented the torpedo from oscillating as it fell, which could cause the torpedo to hit the water at an unfavorable angle, damaging the torpedo or causing it to roll and be thrown off course. The engine was started using compressed air during the air drop, to avoid burning out the turbines, and fuel was not fed to the combustion chamber until impact with the water sheared a control wire. These modifications reduced the range to 4000 yards, which mattered little in typical tactical settings. The vast improvement in reliability was fortunate for the Americans, since the Mark 25 was not ready for production before the war ended. The Mark 13 began to replace the Mark 8 on PT boats in early 1944. 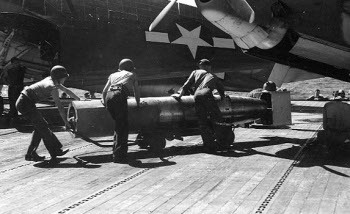 Since the Mark 13 could be launched by simply rolling it over the side of the boat, the boats were able to replace their heavy torpedo tubes with enhanced machine gun and cannon armament.